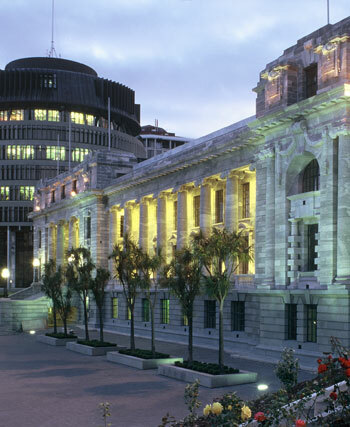 New Zealand has one of the world’s oldest continuously functioning parliaments. Māori were represented in Parliament from 1867, and in 1893 women gained the vote. For much of the 20th century two parties dominated Parliament, but the introduction of proportional representation in 1996 has led to coalition and minority governments. Parliament is where New Zealand’s elected representatives meet to pass laws, and oversee the government and approve funding for it. Parliament consists of the House of Representatives (an assembly of elected MPs) and the governor-general (the Queen’s representative). The speaker of the House chairs MPs’ meetings and rules on parliamentary procedure. MPs sit around a central table in the debating chamber, with the most highly ranked on the front benches and others on the back benches. After an election, the governor-general opens Parliament. The government works through Parliament to pass laws that support its policies. The opposition (all parties not in power) usually opposes government policies and questions government actions. Debates are transcribed and published in Hansard. The Budget (government financial statement of intentions) is the main event of the year. Select committees are made up of MPs from all parties. They look into different subjects. Before a law is passed, it is called a bill – once it is passed, it is an act of Parliament. To be passed, bills are ‘read’ (debated) three times in the House. The public can visit Parliament or watch sessions on live television. Journalists in the press gallery report on what happens. Citizens can petition Parliament on any topic, or make submissions to select committees. From 1840 New Zealand was a British colony. In 1852 Britain granted New Zealand responsible government, and Parliament was set up in 1854. It was bicameral – it had a lower House of Representatives of elected MPs and an upper chamber (the Legislative Council) of members appointed for life. The Legislative Council was abolished in 1951. From 1867 Māori men aged 21 and over could vote for four Māori MPs. In 1893 New Zealand became the first country to give women the vote. From 1919 women could stand for Parliament, and the first woman MP was elected in 1933. The first political party – the Liberals – was set up in the 1890s. In the 20th century the Labour and National parties dominated Parliament. Since 1996 elections have been held under the mixed-member proportional representation (MMP) system. Each voter has two votes – one for a local MP and one for a party. After an election, the majority party forms a government – or a party forms a coalition or agreement with smaller parties. In the 2000s around a third of MPs were women, and a growing number were Māori, Pacific Island or Asian. In 1997 Jenny Shipley was the first woman prime minister, and in 1999 Helen Clark became the first elected woman prime minister.